By Dan Mekinec on 23. April 2018. 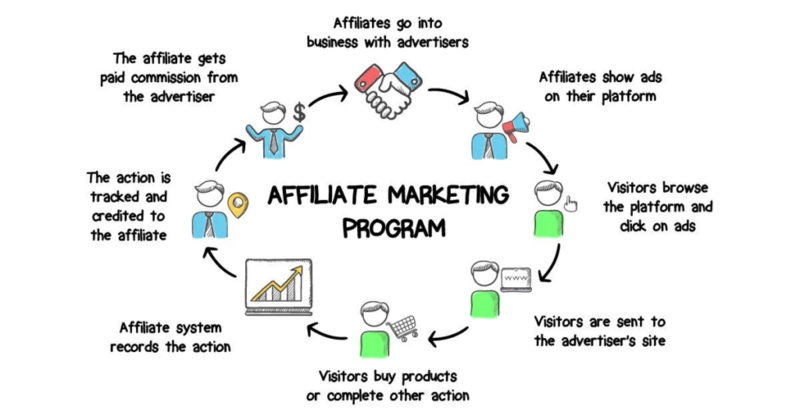 So, you’re probably here because you want to know more about affiliate marketing. If that’s your thing, you should also know something about affiliate links. What is an affiliate link, you ask? You’re just in the right place to find out. You might have heard that affiliate marketing includes something like referrals and earning commission. That is correct, but let’s be more specific. Let’s say you have a neat little blog or video channel. If you’d like to earn some type of passive income from it, one of the things you could do is start an affiliate program. What could interest my followers other than the content itself? Maybe they also would like to get tickets for concerts, or buy some CDs, LPs or mp3s somewhere. By starting an affiliate marketing program, you can get in touch with some online ticket venues and music stores, or perhaps some audio equipment stores, and offer to become an affiliate. This means that you promote their products, discounts or special offers on your platform here and there. In return, they pay commission to you when they get new purchases coming directly from you. This principle is also known as revenue sharing. Same goes for the other way around: if you have an online ticket store, it would be wise to find some popular blogs or channels with lots of visitors and offer them commission for promoting your store. If they like your service and user experience, you’ll be running out of those tickets in no time! 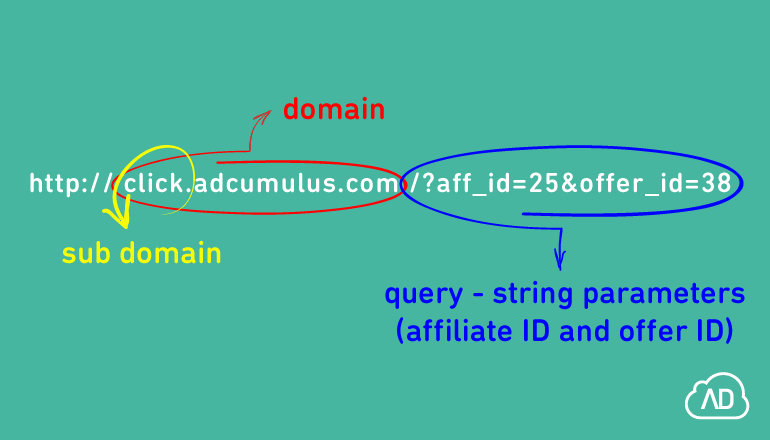 Affiliate links are unique URLs used for tracking affiliate performance and traffic which came directly from them. In our example above, it’s what you need to put in your blog post or video description to promote a certain ticket or music store, for users to click on. Also, since affiliate marketing is performance-based, it’s how an online ticket store knows how many buyers came straight from a specific music blog. Affiliate links are also important to see which the top affiliates are, and to reward their efforts accordingly. In order to know exactly how useful affiliate links are, it is best to track affiliate conversions. Essentially, you need to know which links are leading to new customers, purchases, subscriptions, or whichever user action you define as a conversion. Thus, you need to have some sort of a system for conversion tracking. Where did the user come from (which affiliate link did they click on)? Did they make a purchase (did a conversion occur)? You can add multiple values to the query-string parameter section of the URL. It’s important to note that a click is one thing, but a conversion is a whole different ball game. If you’re a more experienced reader, you probably know all too well that not every click leads to a conversion. We do not live in a perfect world. Client-based tracking utilizes cookies on the user’s end. Cookies are placed in the user’s browser when they click on an ad, which leads them to a landing page. If they make a conversion there, a conversion pixel will appear, which then reads the cookie information (transaction ID) and sends it to the system used for tracking conversions. This method of tracking works basically the same way, but without the cookies. Surprisingly, it is even sweeter. This time, no cookies are stored in the user’s browser when they click on an ad. Instead, the advertiser stores the transaction ID on his end. So, users click on a unique tracking link, which sends them to a landing page. If a conversion occurs, the system on the advertiser’s landing page (or Offer URL) sends a so-called postback with the transaction ID to the conversion tracking system. However, to employ server-to-server tracking the advertiser needs to own a technology or platform capable of sending this kind of notifications/requests. Whether you’re an affiliate, advertiser or affiliate network, we mentioned that you need a system to track affiliate links and conversions. Whichever of the above three You, Your Esteemed Readership, consider yourself, we guarantee you will make good use of our Affiliate Software. It handles both client-based and server-to-server tracking, with different payout and revenue models. Our software also uses smartlinks that optimize for maximum profit, which is always a super cool thing. It’s also incredibly easy to use, so be sure to get your free demo and see it in action!